DIT in Top 1% in the World for Engineering Research! For the first time ever Dublin Institute of Technology (DIT) has been listed in Essential Science Indicators. More impressively, the institution achieved a listing in the top 1% in the world in the areas of Engineering and Agricultural Sciences (which includes Environmental Science)! I’m hoping that my efforts here contributed in some small way to this achievement — I’ll have to see if any of the conference papers I’ve authored with DIT colleagues while I have been a Fulbright Scholar here at DIT counted in this ranking. 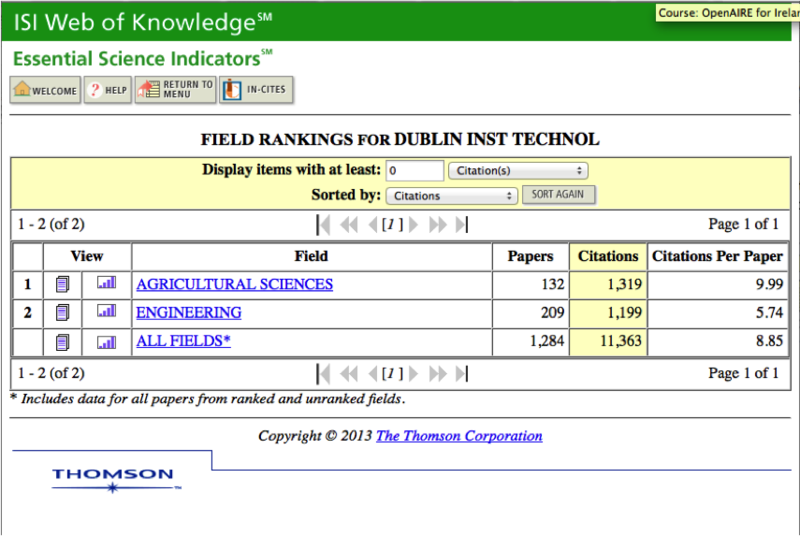 Apparently, DIT now outranks Trinity College Dublin with regard to Engineering research! Congratulations to DIT Engineering–and everyone there–on this outstanding achievement!